We develop dry-cooled superconducting, fast ramping superconducting magnets. 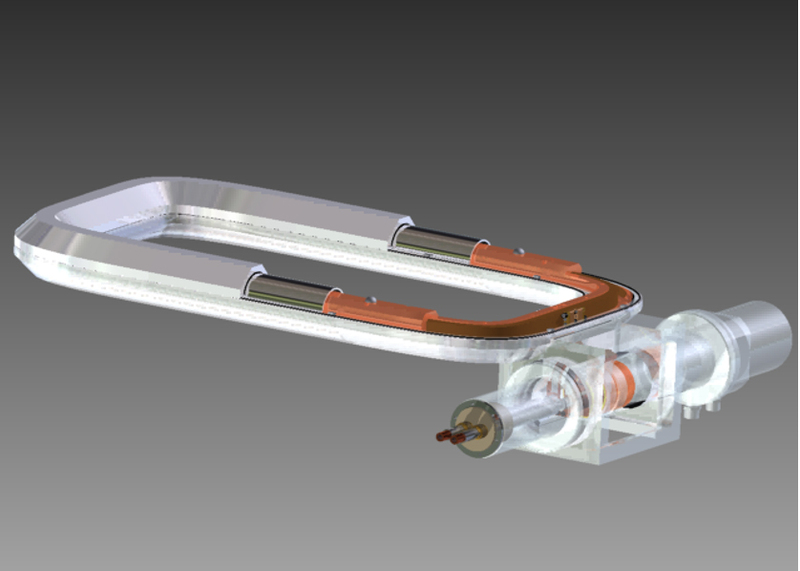 Under U.S. Army contract, BTG has developed a large-bore picture-frame HTS superconducting magnetic coil designed to minimize the AC loss (US Army contract) . The coil was successfully ramped to 300 A within 10 seconds. The coil was cooled to 40 K by a two-stage cryo-cooler. We continue developing magnets that fully utilize advantage of the ExoCable technology: low AC loss, high field quality and high quench stability. We provide the full cycle of magnet design: vacuum system, mechanical support and cryogenic cooling. 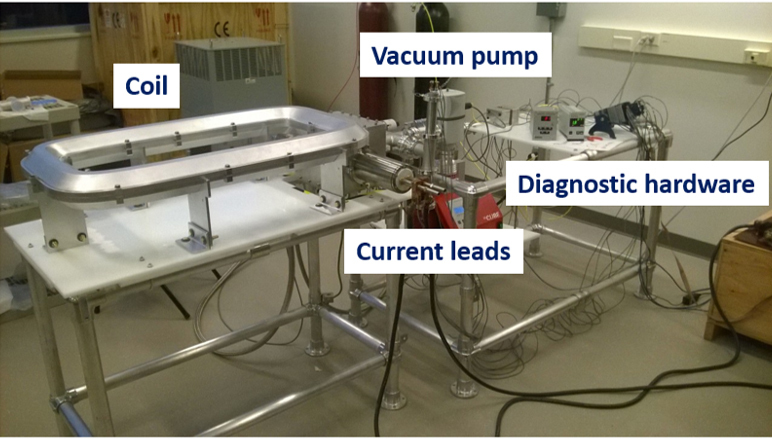 We design, assemble and test dry-cooled superconducting magnets. Our recent project, funded by U.S. Army, involved manufacturing a coil from 600 m of second-generation wire. Our capabilities include magnetic, mechanical and thermal finite element analysis. 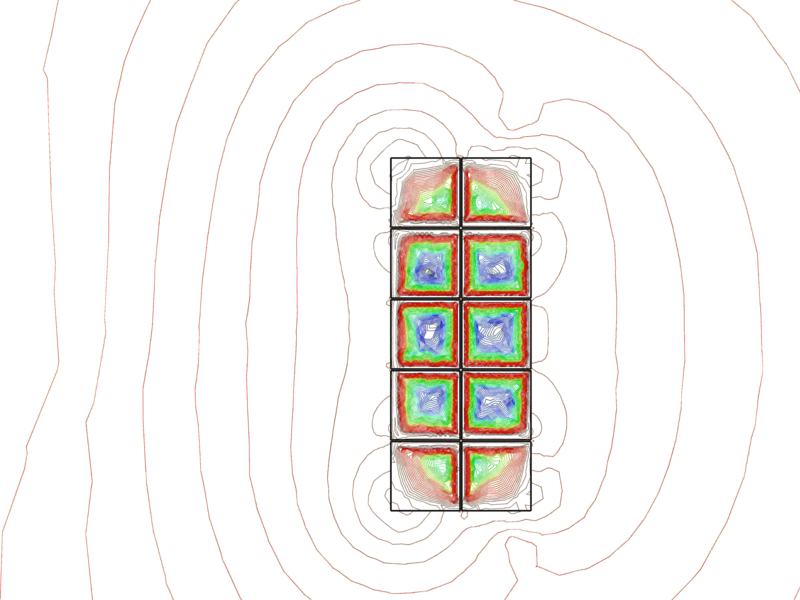 We use the latest numerical models to predict magnetization/coupling losses and the trapped field dynamics in HTS magnets.